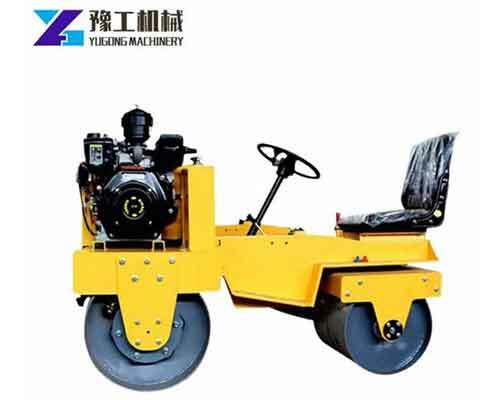 Top, Professional and Reliable Manufacturer of Various Machinery - Yugong Machinery. 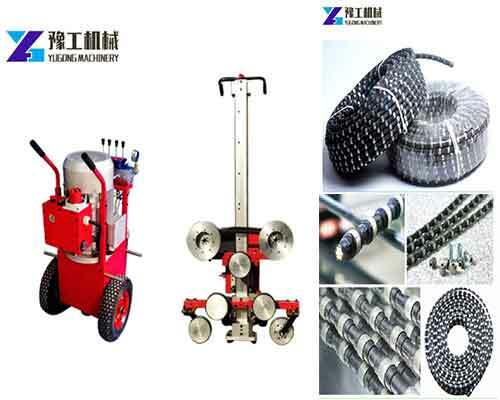 Diamond wire saw machine is a kind of cutting machine which is mainly aimed at cutting the thick concrete and irregular concrete, such as the cutting of reinforced concrete beams, columns. In addition, the construction foundation concrete structures like bridge, floors and stone processing are partially dismantled by the diamond wire saw machine. 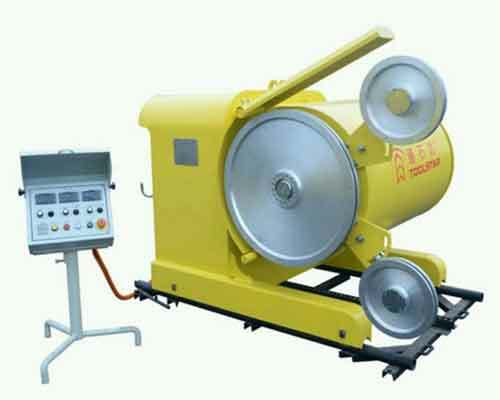 It can also be called concrete wire saw machine, diamond wire saw for concrete depends on its cutting material. 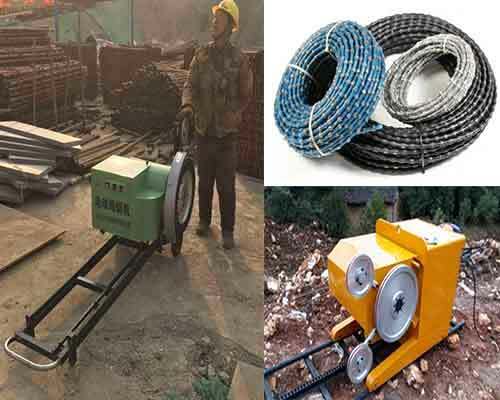 According to the power, it can mainly divided into electric wire saw and hydraulic concrete wire saw and also divided into concrete cutting rope saw and mining rope saw in accordance with the different cutting purposes and requirements. 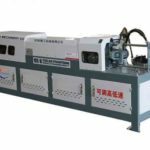 All the types of diamond wire saw machines for sale in Yugong Machinery with good quality and competitive price will be your best choice. Contact us for quotation now. 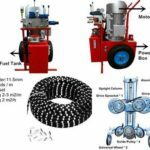 Hydraulic diamond wire saw machine is a new generation of automatic reinforced concrete cutting equipment for concrete by our company on the basis of years of concrete experience and machine modelling design. It uses Australian motors and Italian hydraulic components and has the lightest weight in the same volume of machines. 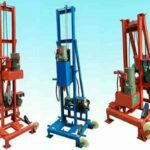 The equipment is mainly composed of hydraulic rope saw set and hydraulic power station set, cooperation with directional wheel, universal wheel and wire rope ate the same time to do the cutting operation. The hydraulic diamond wire saw machine for sale in our company has strong power that can make sure the cut is straight, neat and have no need to trim. 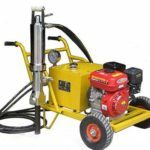 Meanwhile, it can also be used in the cutting of reinforced concrete, ceramics and glass without vibration and the noise is low. If you want to cut the complex section, it’s also very suitable. 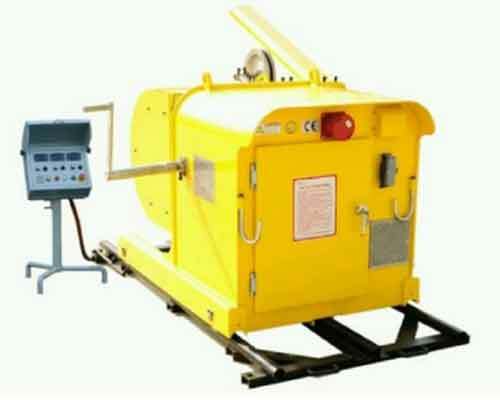 Electric wire saw machine is also a common used concrete cutting machine. Users can make appropriate choices conforming to their requirements. The saw head is relatively heavy. 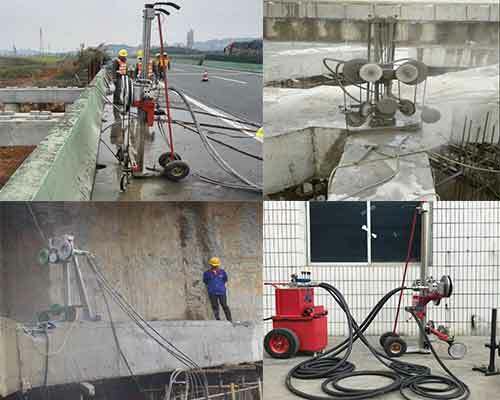 In some cases, it can be fixed by pressing the bottom angle directly without using expansion screws, which can greatly reduce the damage to concrete cutting. 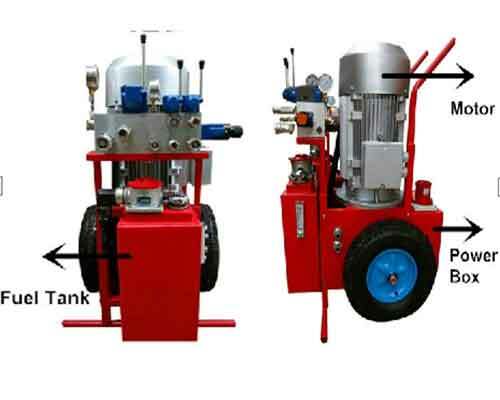 The hydraulic pump station of the hydraulic wire saw machine need to use cooling water to reduce the oil temperature. However, the electric equipment can work for long time by adding a small amount of cooling water at the end of the rope. It can be operated with household electricity directly, eliminating the need for hydraulic system, so it usually costs less. However, compared with the hydraulic wire saw,it also has some advantages. One is that it isn’t as flexible as the hydraulic equipment when construction, especially on the construction surface of small places. The other is that it has less power than the hydraulic machine and the efficiency is a little slower. Then if you still don’t know which one is more suitable for you after reading the features of these two types, please kindly tell us your main application, we will give you the right advice. The machine can also be called mining stone wire saw cutting machine. 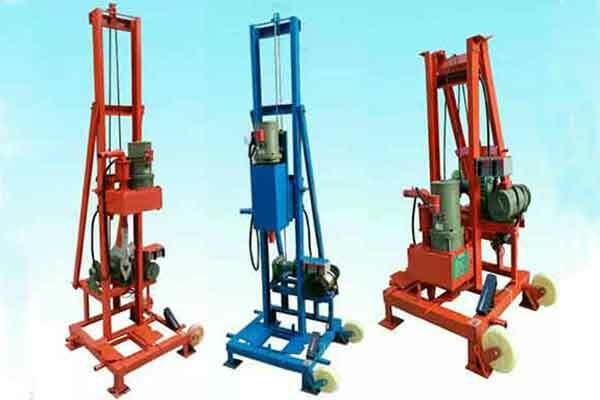 This kind of equipment produced by our factory is mainly divided into four series. Among them, Series B is a standard machine,including eight specifications. The Series C is a kind of two-speed model,including five standards. The Series E is called economical model which contains four specifications and the Series X is a small kind of machine which contains four models. Then I will give the major parameters of all the models and you can choose the one you need refer to the parameters. 1.A variety of machine specifications can meet the needs of different users. 2.With truly reliable automatic function, so one person can operate multiple machines. 3.Adopt the constant tension control principle to ensure the best cutting condition. 4.Use the multiple dust – proof and water proof device which makes the sealing performance good. 5.Adopt the unique side door structure. It’s very convenient to maintain. 6.The machines of Series C use two-speed feed to double-track drive technology which can save time of no-load walking and make the work feed more smoothly. How to Choose The Suitable Diamond Wire Saw for Sale? 1.Consider the material you want to cut, as well as the cutting environment. 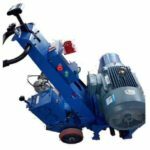 The electric wire saw and hydraulic rope saw machine will be suitable for the cutting of concrete and the stone wire saw machine for mining is usually used in the mining, cutting and shaping of marble and granite. 2.Choose according to the thickness of the concrete, the size of the steel bar and the number of roots. 3.Choose depending on your desired efficiency and the consumables. 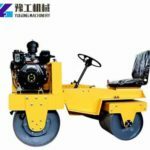 4.When you search on the Internet, you should find a real manufacture,such as,Yugong Machinery Co.,Ltd which can ensure the quality and save your cost at the same time. 1.Safe and Easy to operate. The use of machines can reduce the labor intensity, improve cutting ability and labor efficiency. 2.The linear cutting makes the construction section more orderly. 3.The improvement of working speed can shorten the construction period, further reduce the labor cost, improve the competitive advantages and expand the scale of acceptable construction projects. 4.The safety, reliable and stability of hydraulic wire saw greatly reduce the loss cost of construction equipment.